Win a Planters Peanut Prize Pack! Here’s one for our peanut lovers: Five fans will win a Planters Peanut Prize Pack—each consisting of five jars of assorted dry roasted peanuts—a $25 value! Harness the Power of the Peanut for yourself—enter to win a Planters Peanut Prize Pack. If you’re a regular AFH reader, you know that we are nuts about nuts. And yes, we know that peanuts are not really nuts, but legumes. Honestly though, I think most of us group peanuts in with tree nuts when we’re thinking about nuts and discussing them nutritionally. So, now to the peanuts..
A note about the fat in peanuts: Yep, peanuts are high in fat—that’s a fact of life with nuts in general, so portion control is necessary. However, most of the fat in peanuts is the more healthful, unsaturated kind. Replacing saturated fats in our diets with unsaturated ones is a heart-healthy move suggested in the U.S. Dietary Guidelines. First, make sure you’ve signed up for sign-up for our newsletter, and be sure to “Like” Mr. Peanut on Facebook , too. Then leave us a comment below (not on Facebook please) telling us what peanuts give you the power to do (climb mountains, swim laps, just make it to 5 pm without raiding the vending machine at work?). Enter by Sunday, Sep. 15, midnight EST . And don’t forget to tell us where you’ve shared this contest or any AFH content on your social media. We like that. Open to US residents only please. All AFH Terms and Conditions apply. Peanuts are not a nut all, they are a legume… The power of a peanut.. Peanuts give me the energy and power to complete a hike – so full of protein, to water ski another round, to finish cleaning my house, to keep up with my grandsons…… WE LOVE PLANTERS!!!! WE LOVE PEANUTS!!!!! Peanuts give me the power to make it through the end of my workday without heading for the chocolate or the caffeine. Peanuts give me the power to stay away from unhealthy snacks and desserts! Peanuts give me the power to get through a workout. Peanuts give me the power to eat less and do more, through out the entire day/night. I think of them like Popeye does his Spinach. Peanuts give me the power to not pick sweets for a snack. peanuts give me the power to workout and walk and feel great too! peanuts give me the power to get through my day without slowing down. Peanuts give me the power to walk with more energy and feel great too! peanuts give me the power to push my manual wheelchair due to cererbral palsy. Peanuts give me the energy to work full time, keep up with three children in all of the sports and activities! Love peanuts, peanut butter, peanut oil for cooking. . .best food in the world!!!! peanuts give me to energy to take my afternoon walk, instead of an afternoon nap! Peanuts give me the power to go kickboxing 4x/week! Go Peanuts! Peanuts give me that little extra to get through a workout. Peanuts give me the power to make it through the day with my hyper child! Planter’s Dry Roasted Peanuts help me make it through a hard day at work! Peanuts give me the power to be myself. Someone who wants to make the most out of every hour of life given me! They give me the power to keep on going. Peanuts gave me the power to heal after major surgery! I was told to up my protein intake, so peanuts was one of the things I gladly ate to do that. Peanuts give me the power to push thru the mid-day slump! When I get those middle of the afternoon munchie cravings, I will eat a handful of peanuts to curb my appetite so that I will not “pig out” on snacks that I shouldn’t have. Prefer Planters unsealed, dry roasted! Peanuts cut the 3:00 hunger pains between lunch and dinner! They also fix my salt craving! Peanuts give me the power of healthful protein for health and strength. peanuts have the power to get me through the day without snacking on everything else in the cabinet!!! Peanuts give the the power to say NO to sugary snacks. Peanuts help get me through the afternoon work day slump, so I have enough energy to workout after getting home from the office. They give me that boost that I need to power through my day. Peanuts help me power through busy afternoons full of errands and appointments. I love eating a snack full of protein and the dry roasted peanuts have less fat than the ones cooked in oil too! Peanuts are great for a protein boost! They taste good, are portable and oftentimes will help me more than coffee to keep going in a midafternoon slump. I subscribe & am a Planters FB fan! Peanuts give me the energy to run with my dog at the dog park! It’s just that little pick-me up you need each day…Just a small handful…So good for you ! Peanuts give me the power to keep up with my son, workout and make it through the workday. Peanuts allow my baby girl… She’s 11… To have a healthy snack without it affecting her blood sugar. She lives with type 1 diabetes, so carb free or low carb, healthy snack are important. Peanuts win and she LOVES them. I love Peanuts – they are a great source of protein. I usually have a handful as an afternoon snack to help me make to dinner time. Peanuts give me the power to make it through a long day taking care of my 3 kiddos, ages 4 and under!!! Oh, to add on to my previous comment, I’ve shared this with our diabetes community! Peanuts is a snack that holds me over to the next meal. Peanuts give me the power to stay on my healthy eating program. I don’t like to call it a diet because it’s not. It’s a change in eating habits. They provide me with healthy fats and the protein my body needs. Peanuts help me to fill full and give me energy to walk my 2 miles a day. I liked on FB, signed up for the newsletter and shared on Twitter. Thanks for the chance to win this great “healthy” giveaway! I have begun making homemade peanut butter and these peanuts make an excellent spreadable treat..no added oils or fats it is all in the peanuts…. Peanuts are great for snacking on when I need something to give me energy in the afternoon. Peanuts give me the energy to put up with my husband. LOL!!! Trust me sometimes I need all the energy I can get. LOL! it gives me power to survive the day at work..thanks to planters in vending machines. peanuts gives me energy for rushfit and zumba! signed up for newsletter, like Mr Peanut on facebook …..peanuts give me the power (& energy) to run around with my son. Peanuts are something that keeps me going throughout the day whether I am teaching or working out! Peanuts give me the power to make it through a 12 hour shift without heading to the employee lounge that is usually filled with sweets and sodas! My hubby and I love peanuts – in fact we have a jar of Mr. Peanut dry roasted peanuts in the snack cabinet right now, but would sure love to win some. they help us get through the day with a snack full of protein. Peanuts help me make it through to dinner when I get the afternoon munchies! Liked and shared on my Facebook page! Peanuts give me the power before my daily Zumba workouts and the energy I need between my meals! Peanuts are a great snack anytime. I love them! But I eat them at work at about 3:00 pm to get through the work day before I go home and eat dinner. Peanuts give me the the strength I need to avoid unhealthy snacking and grazing as I approach the dinner hour. Energy to be around my toddler! Peanuts give me the energy to do my housework. I need a lot of incentive to get going. Go PLANTERS!! Peanuts give me the power to be encouraging and helpful to other people! Peanuts give me the power to get through that midafternoon slump. Great easy snack! Peanuts give me the power to say “no” to unhealthy snacks. I also used dry roasted peanuts to make my own peanut butter! Can you say YUM?? Peanuts give me the energy during my afternoon slump! It keeps me from eating a bunch of junk! Peanuts give me the power to hike through canyons. I love to take peanuts in my backpack on hiking trips. I’m eating a handful now to hold me till lunch. Peanuts give me the energy to keep up with my two boys! I was surprised to see how peanuts are the lowest in saturated fat and highest in fiber than other nuts! Peanuts help me make it till my next meal! We love peanuts and how they give us energy to play with our children & they are so filing. Peanuts are a snack that I love to eat. I love to have peanuts at the end of the day as a healthy end of the day snack. Peanuts give me the power to make it through a tough day of having to being on the phone all day. Love peanuts! They keep me from snacking on sweets, love the protein power! Peanuts allow me to have the energy to walk in the foothills, do housework and play with my grandchildren. A half handful of Peanuts keep me going all day. They really do give me energy. I love the plain peanuts. Peanuts give me the power! I like to munch of chocolate and peanuts at the same time. Great combo! Who doesn’t love peanuts!!! There is not a baseball game that goes by where I get at least 1 bag of the peanuts!!! Peanuts give me the (will)power to stay away from high carb snacks. They taste so good that they feel more like an indulgence! Peanuts are a great anytime snack – just a few help you get to the next meal w/o going crazy for junk! Peanuts- can’t wait to taste! I like to eat nuts as a snack to give me power to get through a workout or just until the end of the day between lunch and dinner. Peanuts have always been my family’s energy food! we would always have them with us packing in to fix fence or horse back riding! I’m already signed up for the newsletter, and I “Like” Mr. Peanut on Facebook . Peanuts give me all the energy that I need to keep up with the kids and make it through the day without feeling too tired or wanting to take a nap. I would love to win some protein-packed Planters! They help me run that extra mile every morning! Peanuts help me make it through the day without resorting to a lot of unhealthy snacks. Peanuts give me the power to not snack on anything else. Peanuts give me the power to stay off of junk food and to make it to the end of the day. Planters peanuts give me the power to get through my 2pm energy slump at work. I already receive your newsletter, LIKE you on Facebook and LIKE Planters on Facebook. I have always loved Planters Peanuts. When my grandfather was alive he used to always have a “Mr. Peanut” pen in his pocket and we couldn’t wait to use it when we visited him. Love having peanuts to snack on when we go skiing, they aren’t eat snack that is filling and good protein source. Peanuts give me the power to make it until lunch time or the end of the work day without falling asleep. We get up at 5 am every morning, so it’s almost 12 hours later when I’m finally getting off work. And I know I don’t get enough sleep each night, which lends to my head from bobbing then snapping back up on some days at work. Peanuts give me the energy to keep up with my toddler grandson. Planters Peanuts give us the SuperPower to have sustainable energy throughout our day, we are all so busy and need that protien. They give me the ability to have a healthy snack after hubby and I’s pool workout. We have both lost over 100 pounds!!! I use peanuts and OJ when my blood sugar levels are low and I have the shakes. Newsletter subscriber and like Mr. pea nut on FB. Peanuts help me make it through the long day! I like you both and get your emails. peanuts help me get through my afternoon slump every day. 🙂 I guess you could say I’m a nut nut. Planters are the best for flavor, They are a wonderful “pick me up” for us nurses who are running around and have no time for lunch! Peanuts give me the power to get through my very physical work day, even at age 61! A little protein, keeps my blood sugar level up, and they are so much more satisfying than candy. Planters Peanuts give me the power to get through my long days! Like both, peanuts give me the power to make it through my chamber of commerce meetings without falling asleep. A handful of peanuts keep me awake to let me finish paperwork and running on good fuel until my next meal. Plus, sharing a little with co-workers to keep them going as well. Peanuts give me the power to snack in a healthy way. Planters gives me the power to keep sugar out of my diet! Peanuts give me the power to keep up with my grandson! Peanuts give me the power to resist empty junk food snacks! Awww as a matter of fact, it’s time for a serving right now. Mid afternoon is always a great time for a pop of protein! Peanuts give me the energy to chase after grandkids. Peanuts give me the power to volunteer and keep up with my Girl Scouts after 11 years as a troop. Peanuts give me energy to run & lift weights! They give me energy to keep up with my kiddos and satisfy me till the next meal. Peanuts give me the power to make it through the day. Peanuts give me the power to hold back from unhealthy snacking! Peanuts give me the boost that i need in the afternoons. Peanuts help me control my appetite! Peanuts give me the power to stay away from sugary food. Its something I can feel good about eating! They power me through my afternoons of shuttling kids to their activities. they give me the power to stay awake for those boring days at work. much better pep me up than caffeine! Planters gives me the energy to run 20 miles then spend the rest of the day running my 5 kids around town..
Planters peanuts are the best! Great source of protein for this vegetarian marathoner. Shared on Facebook. Peanuts would give me the allergy to keep up with the guys when frisbee golfing! Planter’s Peanuts! I like honey roasted ones! Its my high protien fix between work and the gym. Peanuts are a great afternoon snack. Dh & I each eat 14 cup of Planter’s unsalted every night. We love them for the taste, the protein and that they are low carb. So, Planter’s gives us the power to stay on our diet! Peanuts give me the power to keep from overeating. They are very filling and satisfy cravings well. Peanuts give me the energy to stay awake while sitting at my desk all day long. I take them when I go hiking or running! Peanuts give me the power to keep up my walking regimen! Nothing worse than running out of energy on a steep hill. Peanuts give me the power to make it through my busy day. We love Planters and always have a jar on hand. Not only do they taste great but they are good for you. Planters make the best ones. None of the others taste as good as Planters. This prize is perfect for my family. I liked Mr. Peanut but I actually love him! They help me get through my 430 pm to 1230 am shift every day, around 11 pm i get tired and hungry, so i need a healthy easy snack! Thanks! Peanuts give me the power of a smile. Tastes so good! Peanuts give me the power to do the afternoon work with focus and drive! We go everywhere with our Planters peanuts! Our first cruise to Alaska had us kicking back on the bed with our trusty jar of nuts as we drifted out in the ocean. In our travel trailer, the first snack we go to. I always carry them with me, always! The unsalted nuts are my favorites! The power to get through classes at school! Now, that takes a lot of energy! Peanuts give me the power to make it back up my steep back yard after I go out to feed the birds and water my plants. Peanuts give me the power to get through the afternoon to be the best teacher I can possibly be. They give me that extra oomph when my oomph is almost gone! peanuts give me the power to refuel after a hard WOD at by box Muskegon CROSSFIT!!! They give me power to take care of my dad. Peanuts give the power to get through the day with energy and get home and make a lot of things with my family. I like the dry roasted that are lightly salted. Peanuts give me the power to stay competitive during game night. Peanuts give me the power to fill in the hunger pains that set in bwtween meals. It is also a safe nut and company that my son CAN eat! Thank you for the opportunity! Peanuts give me the power to get through my afternoon slump without raiding the vending machine for candy. Peanuts give me the power to reach my nutritional goals. I’m signed up for your newsletter, I “Like” Mr. Peanut on Facebook and peanuts give me the strength from going “nuts” throughout the day!!! Peanuts give me the power to not overeat through out the day. I love the Dry Roasted unsalted. They are better for my particular medical needs. peanuts give me the power to stay away from carbs. they are a great snack to have on the go. i simply put them in my car or purse and i have a healthy snack! clallen at ntin dot net (i am signed up for your email and i like the facebook page) thanks! I work odd hours and they really do get me over the slump until I can have lunch! Peanuts get me over the afternoon slump. Peanuts give me the power to finish my day at work, I work in an academic Library with lots of students. I munch on them in the early afternoon. Peanuts give me the energy I need to work full-time, be a full-time single mom, take care of my elderly father and still have the energy to take care of myself! Peanuts give me the power to make it to the gym after work. I love how peanuts provide that extra boost of energy after lunch! Love peanuts! A quick picker upper! Peanuts give me the power to make it thru the day! They give that little burst of energy when I am feeling low and need a little snack! peanuts give me the energy to get through the day and get things done. peanuts give me the energy to chase one 4yr old and one 2 yr old around all day!! Quick and easy and tastes good too! Planters Peanuts give me just what i need instead of reaching for the fridge for a late night snack!! Peanuts give me the power to make it until 5:00 without my head spinning completely around my body and taking big bites out of my coworkers. Planters peanuts give me the power to NOT fuss at my children for nibbling on them as after school snacks! Peanuts help me get through my morning walk. Peanuts give me the power to resist reaching for sweets or alcohol for a pick me up in the late afternoon! I shared on Facebook, I tweeted this contest and I pinned and left a separate comment here. Peanuts give me the power to make it through my day. I get the newsletter and Like on Facebook and Planters give me the power to control my hunger and give me energy. Subscriber to your newsletter, and “Like” Mr. Peanut on Facebook , All peanuts give me the power to get through the day. They are the perfect little snack to tide me over! Peanuts give me the power to make it through to dinner without eating sugary snacks. Peanuts give me the energy when I exercise. 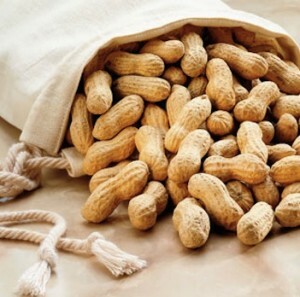 Peanuts give me the energy to keep up with my very active and busy family!! I subscribe to the e-newsletter, Like Appetite for Health and Mr. Peanut on Facebook. Peanuts give me the power to make it through the darkest day. Seriously though, they’re delicious and satisfying. peanuts give me the power to get back on my treadmill each day. I helps stay away from potato chips!! Peanuts give me the energy to get out of the late afternoon slump. I have them between 3-4 to get energized each day to deal with tasks I have daily. Peanuts are one of my favorite snacks! They give me the power to make it all day without eating junk food. Peanuts give me the power to drive past the fast food restaurants when I’m traveling. Peanuts give me the power to take a walk with my husband on the Pinellas Trail and take my Chiweenie to the dog park to run and play. Peanuts give me the power to make it through m college volleyball matches. 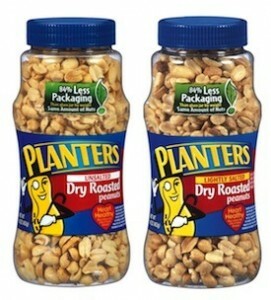 I subscribe to the newsletter and like Planters on Facebook, Peanuts are a huge part of my diet, I love them so! Always a great and easy snack for work lunch or anytime! great protein and snack sized portions for appetite control. Peanuts give me the power to make it through an extra set of squats! Peanuts give me the power to make it through the day at work. They give me just enough of an energy boost to keep me going. Peanuts give me stable blood sugar and the power to make it through the afternoon at work without raiding the office candy drawer! I can get through a day without real meals when I can have snacks like peanuts. Peanuts give me the power to run marathons! They are my mid day snack at work to help me reach 5:00 to pick up the kids and then head to all of their activities. Peanuts give me the power to keep up with my eight grandchildren! I am an email subscriber & “Like” Mr. Peanut on Facebook. I guess I am the opposite of most people because I like to have some when I wake up hungry during the night. They help me keep my blood sugar even. Make it a whole day at work without snacking on the wrong stuff! Peanuts give me the power to pass on the unhealthy snacks! Congrats! Look for an email from me later today with info on how to claim your prize. Please get back to me within 48 hours. Didn’t win today? Get in on the Analon pancake pan contest–cool pan! Makes a nice gift or keep it for yourself for a nice weekend bkfst!